Do people always hear what you intend? Communication is a key in all our relationships- personal and professional. And, if you’re like me, sometimes it falls apart. We say the wrong thing… leading to misunderstandings and the need for more communication to get that back on track. And sometimes, the stakes are even higher with the need for great communication. It could really cost us if we drop the ball and say things we shouldn’t. If you or your team is in direct communication with the community are they sharing information appropriately? know the rules to keep your customers safe and your store compliant. It is so important and bears repeating. Unless you are a medical professional, please do not offer medical advice. 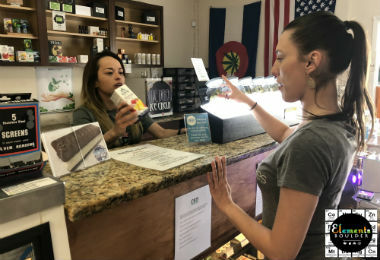 Maureen McNamara, of Cannabis Trainers, and Jordan Wellington, of Simplifya and Vicente Sederberg, will be offering an interactive seminar, Say What?, in Denver on June 14th. Check out our Upcoming Events below, for more information. Here is the registration link. “As cannabis legalization becomes more common, women should be cautioned that advice from dispensary employees might not necessarily be informed by medical evidence,” the researchers published in a study May 7 in the Journal Obstetrics and Gynecology. It is probable that there are states (ie: Maine) working on writing laws for Adult Use cannabis legalization. They may consider adding in what a dispensary worker can and cannot say to a customer. It is a fine line and to be safe, it would be highly recommended to refer a pregnant woman, who asks if cannabis can help reduce nausea, to ask her doctor or medical practitioner. Kristi Kelly, Executive Director of the Marijuana Industry Group, says they advise dispensaries to refer customers to their doctors. Kelly was quoted in an CPR article, May 2018. Cannabis Trainers offers two compliance training classes. Sell-SMaRT™ Responsible Vendor training and ServSafe® Food Handler. We’ve customized our classes for Colorado, California, Nevada, Maryland, and Canada. Let us know how we may best assist your team. We lead public and private classes. Previous PostDoes your dispensary offer medical advice? Next PostPlaying it Safe in Cannabis Dispensaries – 5 tips! My VA doctor recommend marijuana as a substitute for Sertline hyper chloride, but was unable to give me dosing instructions as she has no recerch data to go with. This is the problem and I have been given medical advice from random people on the street. This does not mean I’m going to take their advice, and I don’t think I could sue them. Additional research and much more educating of medical professionals, people in the cannabis industry and patients is certainly needed.